It’s almost time for the Consumer Electronics Show, which means we’re going to hear about all kinds of exciting new technology! 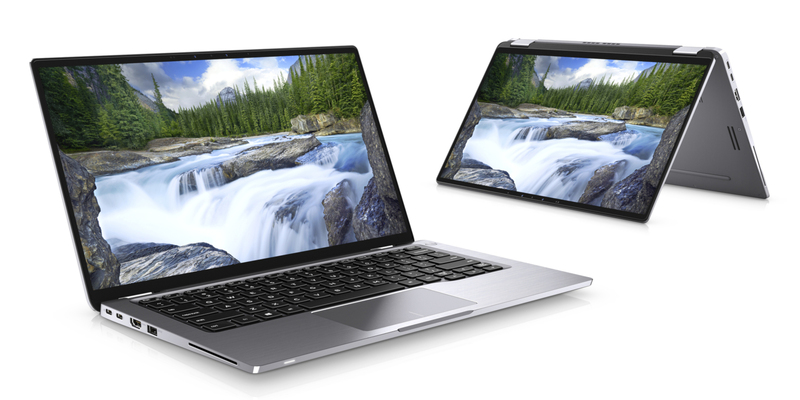 Dell is getting out ahead of the big event with the announcement of its new commercial Latitude 7400 2-in-1 laptop. The device actually features a proximity sensor that’ll wake the computer up automatically when someone comes near it, speeding up the login process. Business laptops are not usually known for their flashy and exciting features, but this one is definitely an exception to that rule! Obviously, the main selling point of the laptop is the proximity sensor, which Dell calls “ExpressSign-In”. Basically, it detects a nearby user and wakes the computer up. It then uses Windows Hello to log them in by detecting their face once the laptop is opened. Normally, a laptop wakes up when the screen is opened or when the power button is pressed, depending on the power settings. With this new feature, the computer will already be awake by the time you lift the screen, shaving a few seconds off the login process. The Latitude 7400 also comes with several enterprise features like Cat 16 Gigabit LTE, a fingerprint reader, and the FIPS 201 Smart Card Reader. According to Dell, this is the smallest commercial 14-inch 2-in-1 laptop on the market right now. It’s 25 percent smaller than the previous model and weighs in at a slim 3 pounds. There’s a new cooling system that Dell calls “intelligent thermal responsiveness.” Essentially, this means that it’ll cool differently depending on whether you’re using the laptop on your lap or on a desk. Dell promises that the impressive laptop features a battery life of up to 24 hours depending on how it’s used, which is quite solid. When Does the Latitude 7400 Come out And how Much Will It Be? Dell says that its new laptop will release in March of 2019, so interested buyers won’t have to wait too long to get their hands on one. It’ll start at $ 1600 for the base model and go up from there. Dell hasn’t released how much it’ll be for the top-of-the-line model. Not sure if a 2-in-1 is for you? Here are five reasons to buy a Windows 10 2-in-1 laptop.